The late Mother Dobbs was born October 10, 1928; she was the wife of the late Bishop JB Dobbs. Mother Dobbs and JB Dobbs were married 37 years before his death on January 9, 1992. During their union Mother Dobbs gave birth to 12 children: Jesse, Lewis, Samuel, Queen Esther, Sarah, Michael, Miriam, Rebecca, Rachel, Jeremiah, David and Timothy all of which are living. She has 29 grandchildren and 2 great-grand children. Mother Carrie Belle Dobbs was the Senior Mother and Co-Founder along the side of her husband Bishop JB Dobbs of the Bethel Church of God 7th Day, located in Baltimore Maryland. 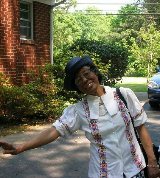 She began her venture as church Mother with her late husband JB Dobbs in 1972; under the church name Bethel Commandment Church of the Living God. In 1978, the church name was changed to Bethel Church of God 7th Day. Mother Dobbs speaks for Women's Ministry engagements within the DC/MD and VA area – teaching good things to the Women of God. Her sermons included “Love your husbands, Keep your sobriety and Be Sweet”. Her favorite scriptures include: Titus 2 : "Let the age women teach the young women, how to love their husbands…" and Proverbs 31 :" Who who can find a virtuous woman…." The Lord called Mother Carrie Dobbs from labor to reward in May of 2012. While we miss her presence, we know and understand to be absent in the body is to be present with the Lord. Her work of love continues to be manifiested in the ministry she and her husband founded. Apostle-Elect, Bishop James K. Thomas is the oldest son of the late Brother Jasper & Mother Villie Thomas. Bishop Thomas attended Baltimore City Public Schools and attended Coppin State University. He later went on to receive his Doctorate of Divinity from The Greater Valor Bible College & Seminary. Bishop Thomas is married the Lady Rebecca Thomas. He is the dedicated father of 7 children (one deceased) and a fun loving grandfather. In 1973 at the age of 13, Bishop Thomas joined Bethel Commandment Church under the leadership of the late Bishop JB Dobbs. In 1974, he received the baptism of the Holy Ghost at the age of 14. Bishop Thomas was later ordained as a deacon along with deacon Alonzo Walker in 1984. In 1991, Bishop Thomas was promoted to Chairman Deacon. In 1992 after a short illness, God called Bishop Dobbs home. This loss was a tremendous blow to the congregation. On February 9, 1992 Bishop Thomas was ordained, licensed and installed as Pastor of Bethel Church of God 7th Day, by the late Apostle Robert Farrow, Presiding Prelate of Bethel Commandment Church of the Living God in Whitesboro, NJ. 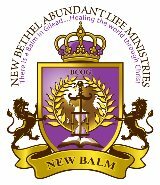 In 2000, God led Bishop Thomas to establish “New Bethel Abundant Life Ministries”, which represents the next level of ministry and outreach. It was also during this time that after many years of faithful ministry and service in the capacity of Evangelist as well as Assistant Pastor, Bishop Thomas ordained and installed Pastor Alonzo Walker (Bethel Deliverance Outreach Ministries) as Bethel's first pastor. In 2006 Bishop Thomas ordained the ministry's 1st female evangelist, Evangelist Rachel Dobbs. After providing pastoral care & mentorship to King David's Mission, Bishop Thomas ordained Pastor K. Battle as pastor of King David's Mission. In 2009, Bishop was introduced to Elder Leonard Long (Greater Divine Apostolic Ministries) and in 2010 Bishop Thomas ordained and installed Elder Long as pastor of Greater Divine Apostolic Ministries with Bishop Thomas serving as their Presiding Prelate. In 2012 Bishop James Thomas was officially consecrated to the office of Bishop by Bishop Roosevelt Johnson (Philadelphia, PA). 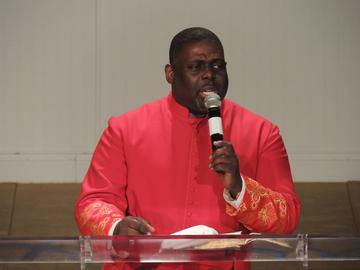 Since his ordination, Bishop Thomas serves as: Northern Regional Bishop of the Historical Pentecostal Fellowship of International Churches, Associate Presiding Prelate of The Kingdom Minded Covenant International. Bishop Thomas currently serves in covenant with Apostle Joseph Timmons (Greater Temple of Truth), Apostle Myra Anderson (Kingdom Shakers Ministries), Bishop Gregory McCoy (True Covenant Worship Center), Bishop Winston Monk (House of Prayer International) and Bishop Motley Davis (Higher Heights Cathedral) just to name a few. As an extension on his mantle, Bishop Thomas also provides spiritual covering and mentorship for new pastors and ministries abroad. Bishop Thomas has built and maintained strong ties with local community leaders and is an active participant in faith based initiatives and community development. Bishop Thomas is an aspiring author, teacher, motivational speaker and leader who has taken a stand in these trying times. As he flows in the mantle of the Apostle, Bishop Thomas says that his passion is "To be an instrument of KINGDOM transformation locally and abroad." Apostle-Elect, Bishop Thomas has a heart for God's people and has been and is ever willing to do all that he can for God's people! Lady Rebecca D. Thomas is the daughter of the late Bishop JB Dobbs and Mother Carrie Dobbs. Raised in a large loving family, Lady Rebecca is accustomed to sharing her home with the body of Christ and those in need of nurturing. 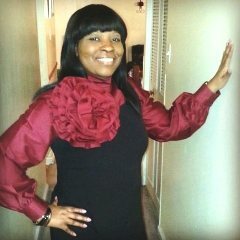 Lady Thomas is a native Washingtonian completing her education at McKinley High School, Jefferson Business College, and more recently the University of Phoenix and Bible Bethel Institute. Having served in various capacities within the church, Lady Rebecca, now tirelessly works to further the ministerial endeavors of New Bethel Abundant Life Ministries pastored by Apostle-Elect James K. Thomas in Baltimore, Maryland. Lady Rebecca’s passion is for the women of God to understand their purpose in ministry and provide support to ministry by uplifting the body of Christ in prayer and supplication. Birthed out of her personal ministry of prayer, Lady Rebecca founded Women of Purpose. WOP (Women of Purpose) strives to empower women to reach their full potential in Christ and in ministry. Her vision for Women of Purpose was the springboard to launch other initiatives such intercessory prayer on Monday and Friday of each week where the women of the church could spend time travailing before God for the ministry, community, and their families. Lady Rebecca has never settled for mediocre service, but has rather pushed the envelope encouraging the body of Christ to operate at a higher level of kingdom purpose. To this end, Lady Rebecca while holding fast to the foundational tenets of the apostolic faith, forges forward to incorporate fresh and exciting ways to cultivate the gifts of the spirit in her spiritual children. Lady Rebecca’s clarion call to women is to learn to take their rightful place in ministry by continually striving to be the women described in Proverbs 31. Anointed to serve and teach, Lady Rebecca has held many roles in the church ranging for Sabbath School teacher, fundraising coordinator, and secretary for the Board of Trustees. Of all her many roles in ministry, Lady Rebecca cherishes the time she spends with her husband, Apostle-Elect Thomas and her children, Tynisha and Caleb. As the ministry grows and moves into the next dimension of kingdom purpose and destiny, Lady Rebecca will continue to ensure the people of God are poised to take their rightful place, taking back everything the enemy thought to steal! One of Lady Rebecca’s signature phrases is “ We are not excited enough!” Always she is pushing the body of Christ to cherish the gift of God and to use those gifts to push the ministry past the walls of the church!